We all know that quote “The older we get, the wiser we become”, right? That wisdom thought, somehow seems to put our bodies in debt, so although we now may get a thing or two about life’s true purpose, we are no less needy that a child, mostly due to the physical changes that come with age. Now as much as you might be nodding with agreement when reading this, I bet there’s also that little devil on your shoulder that always wants to convince you to pretend you’re not as old as perceived. This is due to that rather off-putting image of a person in a rocking chair in front of a TV, sitting in a position that says – “Sitting is all I do these days!”. Don’t get the impression that I’ll have much to say against prolonged sitting, I’ll simply leave that point for some other time. What I want to address is what we, the elderly, should be sitting on. Let me tell you straight away, sitting and sitting on a orthopedic chair are two immensely different things. And I don’t mean the chair of Frasier’s father, so yes, I’ll also add that aesthetics matter. In fact, today’s medical chair models are as sleek as can be, if you know where to look for them, that is. When I started looking for a medical chair, being the minimalist that I am, a thought kept repeating itself in my mind like an anthem: bulky, be gone! I wanted to get something that’s non-slip, high back and strong. So with the help of a little bit of Monica by my side (that’s actually my wife’s name), a little bit of specs reading all night long (God bless the internet I didn’t have to go from store to store) I found the one for me and I wasn’t wrong. Sitting in a chair that actually supports your back and neck and helps you maintain right posture can certainly cast a big shadow to ordinary chairs. 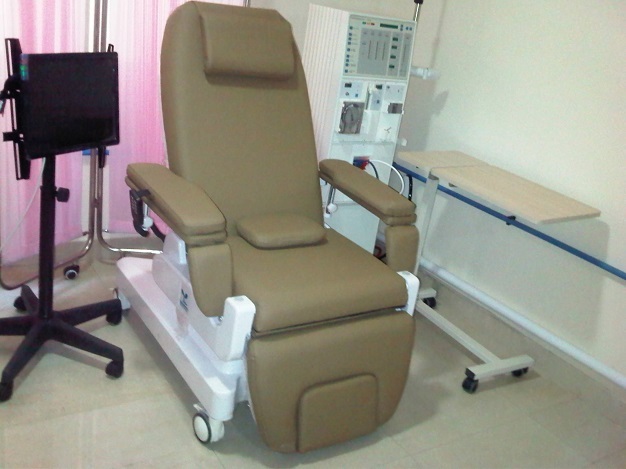 The greatest thing about my mocha colored medical chair is that it actually looks quite ordinary while making me feel extraordinary, sometimes even a little bit less oldinary (chuckles).